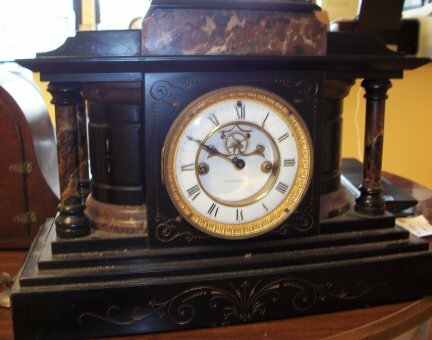 This is an E. N. Welch marble mantle clock. It is solid marble and is heavy, approximately 35 pounds or so. 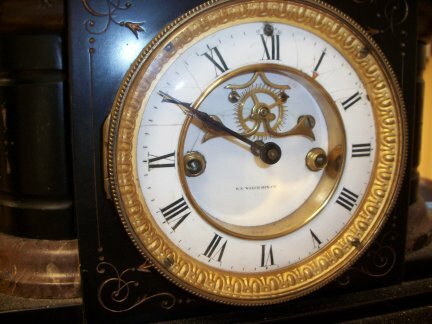 The clock has an 8 day time and strike movement. 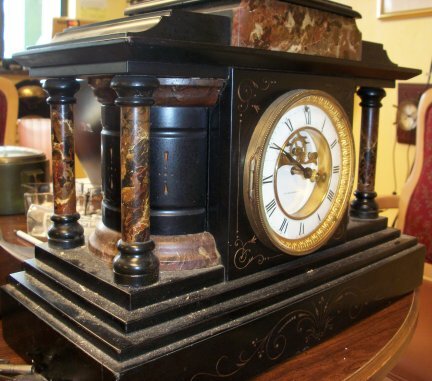 The face is porcelain and it has an open escapement. Close up view of face, there are a couple breaks in the porcelain, but is still in really good shape.